When it comes to the salad game, I’m pretty traditional. Most days, I settle for a classic mixed greens salad with cucumber, tomato and a balsamic vinaigrette of some sort and I never get tired of it. Every once in a while though, a girl needs to mix things up. So now that Greece is out of the World Cup (yes I know the U.S. is too) I am able to re-introduce international foods into my diet without backhandedly supporting opposing teams. It will however, be a long time before I can look at a Belgium waffle the same way again. Just kidding. I love waffles. 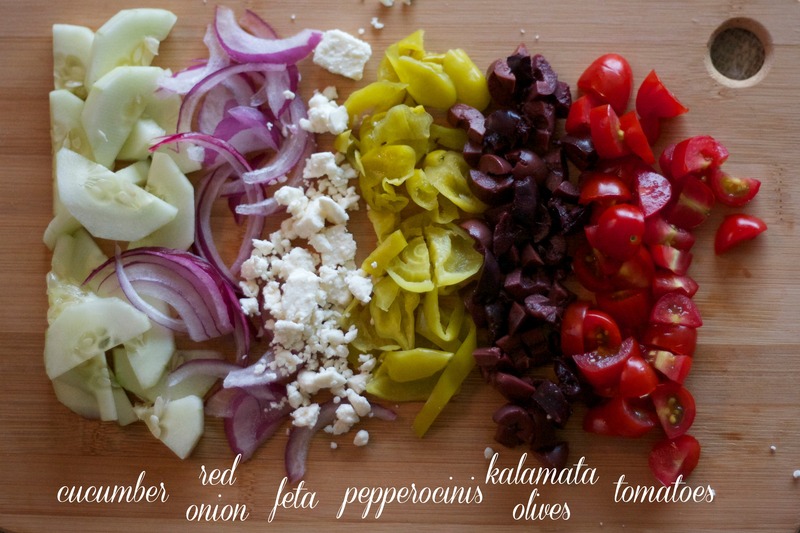 Anywho, I’ve got a Greek salad recipe for you today. Simple. Classic. Sour. All things that make up a great salad in my opinion. Why I feel the need to tell you it’s in my opinion when it’s written by me on my blog I don’t know. Maybe you like sweet salads? If so that’s cool. You just won’t want to eat this one. Add all of the above ingredients to a large mixing bowl. Toss. Set aside. In a small bowl, whisk garlic, mustard, vinegar and spices together. Add olive oil and whisk until combined. 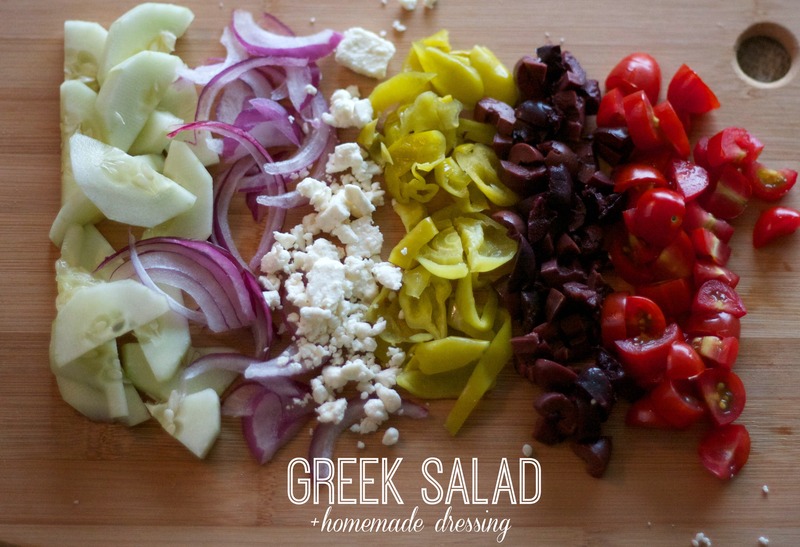 Dress salad lightly and then add more as needed. Plate and serve.